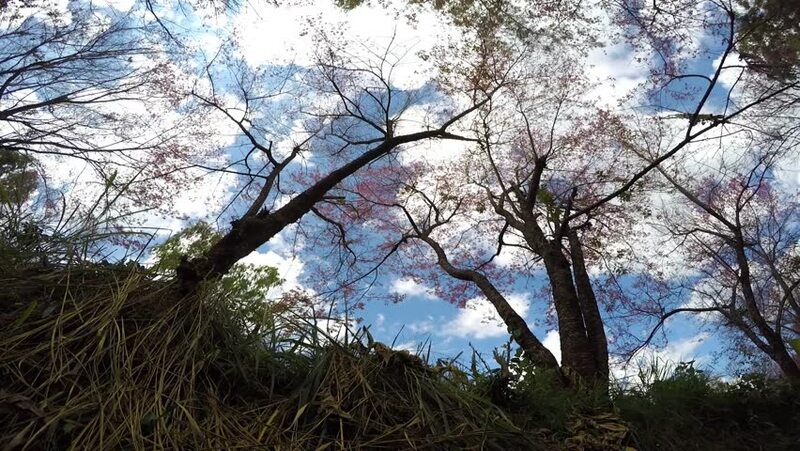 Timelapse of clouds on blue sky passing over cherry blossoms in Doi Inthanon, Chiangmai province, North of Thailand. One of landmark in Thailand. hd00:09Winter forest. Frozen branches. T\L. hd00:30Awesome autumn forest. The tops of the trees bear against the blue sky. In the foreground a bush leaves. Focusing changes smoothly from the foreground to the farthest. Bottom view. Falling leaves. hd00:31Wobble treetops. The tops of the trees make the slow oscillations in the wind.